We are leading manufacturer, supplier and exporter of Brass LPG Cylinder Fittings Parts.We cater bulk quantity query. 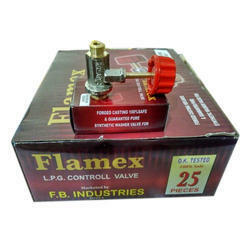 With sincerity and hard work of our professionals, we have carved a niche for ourselves in this domain by providing a premium quality gamut of Brass LPG Gas Valve. With an objective to fulfill the ever-evolving demands of our clients, we are engaged in offering a wide assortment of Brass LPG Gas Valve. We are one step ahead of our competitors in manufacturing and exporting quality-approved LPG Cylinder Valves to our esteemed patrons. These are widely used as well as appreciated for providing optimality to the operation of LPG cylinders. Products we offer are designed under proper supervision and surveillance of highly experienced and skillful team of experts. We offer LOT (Liquid - Off - Take) Cylinder Valve for LPG. 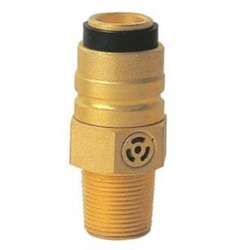 We manufacture Brass LPG Valve Components as per customer specifications. To meet the assorted requirements of our customers, we are involved in offering a wide assortment of LPG Valve for our valuable customers. Offered products developed as per the industry approved norms and standards.